What Makes Some People Important? What makes some people important? 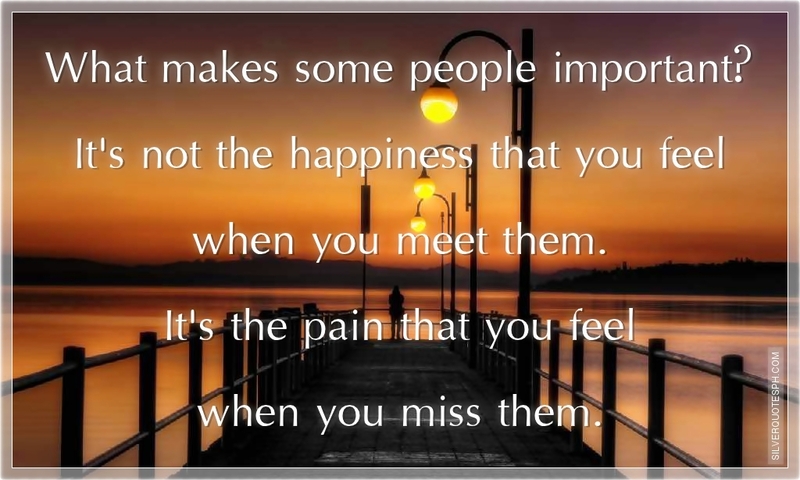 It's not the happiness that you feel when you meet them. It's the pain that you feel when you miss them.